Your Domain is one of the most important parts of your AmeriCommerce Online Store. As such, you probably made sure to have your Domain set to auto-renew with your Registrar and don't need to be updated with notifications. Those notifications can be disabled in your admin dashboard. IMPORTANT: This will disable all Domain expiration notifications, so make sure that the domain will stay up to date before disabling. 2. 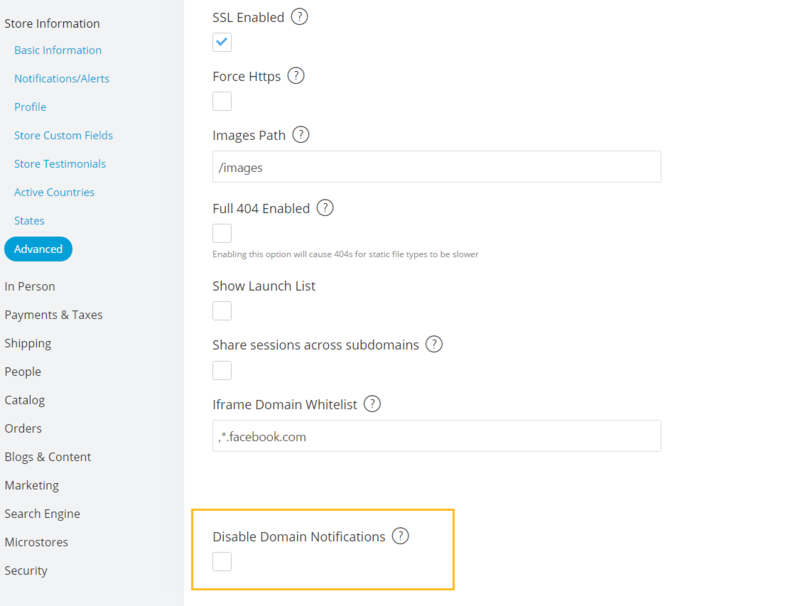 Check the option for "Disable Domain Notifications"